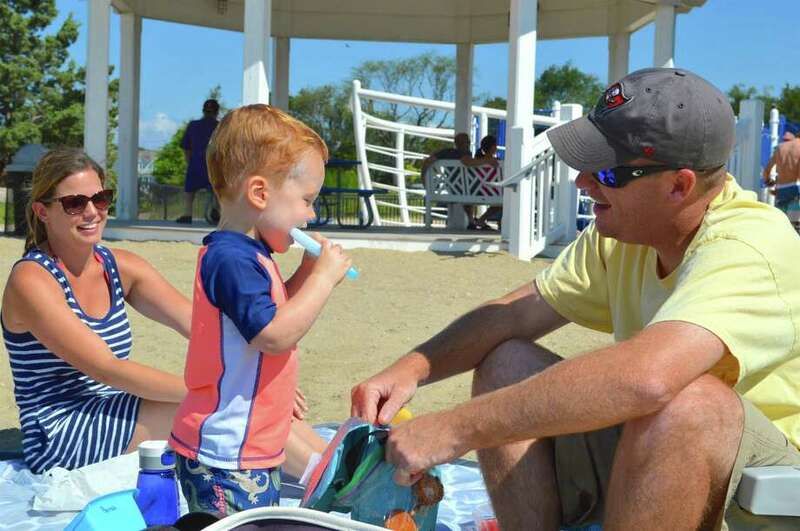 Aaron and Chrissy Parrish of Darien share a moment with their son, James, 19 months, at Weed Beach, Sunday. DARIEN — Summer sand was warm and inviting Sunday morning at Weed Beach. While a lot of people are out of town on holiday, many residents enjoyed the blue sky, silver sand and gentle water right here at home last weekend. Weed Beach is also where the Noroton Presbyterian Church holds outdoor services each week on sunny summer mornings, even conducting baptisms there this past Sunday.